a. Put no more than 3 links above the fold. The links should be of your blog, a free lead magnet (free book, free tool), and the subscribe page. b. 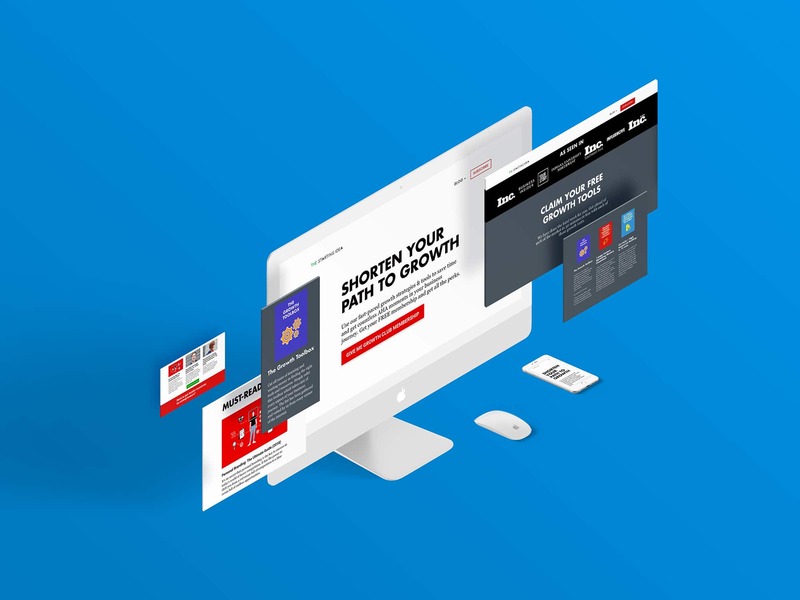 The main headline above the fold should be a compelling benefit-driven line stating whats the main benefit your site visitors can get from you. c. There should be a subtitle driving a unique benefit of a free resource/tool which they can get by clicking the Call-to-Action button below. d. There should be a Call-to-Action button to get a free resource (a lead magnet, a free tool) in exchange for them signing up to your site. Make the button text actionable, for example, the button text can be: “Give me Instant Access Now” or “Yes! Give me The Free Tool”. The button color should be unique and contrasting the rest of the site. Make sure this button stands out from everything else in the background. The next section should be about your social proof. Add all the media appearances and features your brand has got in this place. Leverage the logos of these big media brands to drive authority. The next section will be for testimonials. Add a few compelling testimonials about your product. Note: Its good to put social proof and testimonials right on the top area of your website just after your main headline. This way the main benefit of your product is immediately backed by verifiable proof and authority. It is great for building trust for your brand. The testimonial section will be followed by the story section where you will briefly explain what is the main benefit of your product and how it provides that main benefit. Use imagery, videos, and screenshot to show the product in action. Note: Showing the product in action helps customers future pace themselves to the results you promise and thus makes them more inclined towards believing in your service. At the end of the story section have a CTA to sign up. Put the best case studies/blog articles from your site here. Use attractive images to make users click on them. Have a final CTA asking people to book a call/sign up or any other action where they give their information for you to contact them about your product. Have an exit intent pop up driving the 1 key benefit of your free resource/tool with a CTA for signing up to your newsletter. Note: To further drive leverage for your brand, use media logos and 1 key line from a testimonial evangelizing the value of your brand. 1. Are the following features optimized for conversion? 2. Is the site optimized for speed? 3. Are the technical issues resolved? a. Are all the buttons working? b. Are all the links working? c. Are all the Pop-ups working? d. Does the site have an SSL certificate (HTTPS instead of HTTP)?